The following group types are not accepted by this hostel: Holiday with Friends, Junior / Primary School, Business Trip, Stag/Hen/Bachelor Party, Cultural Group If you have misrepresented the type of group you are booking for, your booking may be cancelled by the hostel." 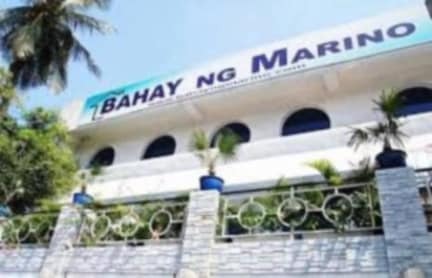 Bahay na Marino is a budget hostel located in the Manila. 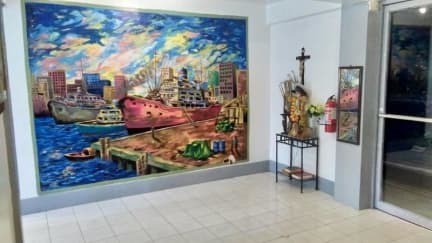 This property is intended for our Seafarers and OFW's. And Bahay ng Marino is a budget hostel is offering a budget hostel for all with limited service. Bahay ng Marino is also a budget hostel that the amenities is limited only. And we are located on the old Manila tourist spot in the Philippines like Intramuros, Luneta park, Fort Santiago and Manila Ocean Park. And Bahay ng Marino is equipped of air-conditioning room and a Fan room that is 2 story building. 1. Cancellation policy: 7 days before arrival.